Today, Ibiza events giants The Night League announce their 2018 partnership with conservation initiative Dance For One Meter (D41M) which will unite the creative spirit of Ibiza with the latest blockchain technology to tackle the global issue of deforestation and proof of conservation. The partnership will allow clubbers attending both Hï Ibiza and Ushuaïa to help the cause by simply joining the party and dancing at either club. 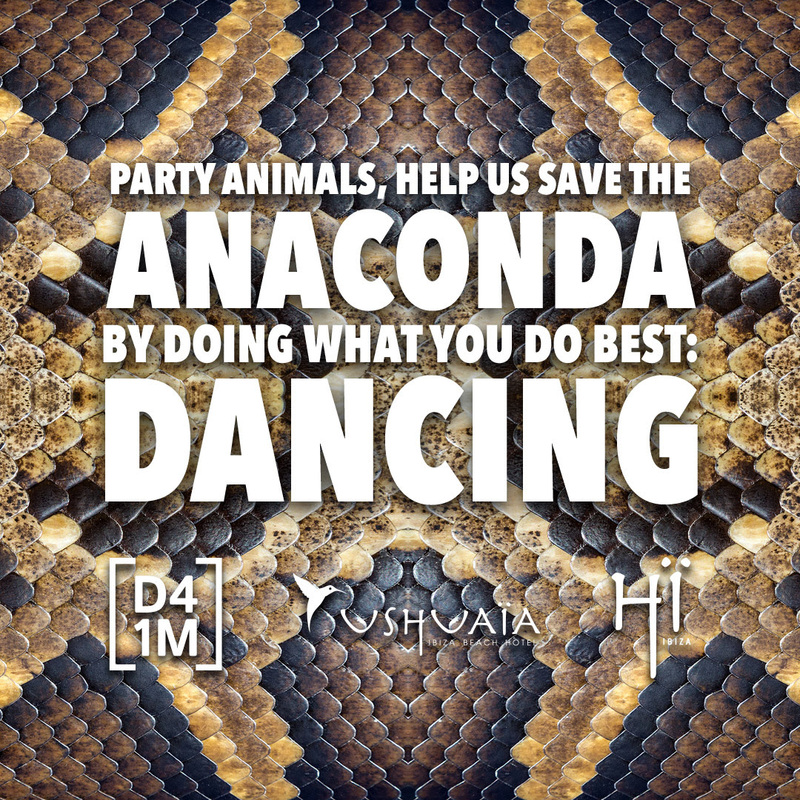 When guests attend events at Hï Ibiza and Ushuaïa, they will have the opportunity to pay an optional 1€ to reserve and save 1sqm of Rainforest when purchasing tickets online at either hiibiza.com or theushuaiaexperience.com. By using Satellite and Google Earth technology, each guest can redeem and zoom into their coordinates on the Cuipo Foundations Rainforest Preserve in Brazil. Every second of every minute of every day one football field of Rainforest is lost due to deforestation. 70% of all cancer eliminating medicine properties originate in the Rainforest. Deforestation creates more carbon emissions than any other industry on the planet. The impact on our lives at a global level is serious if action isn’t taken right now. No more talking, it’s time to Dance For One meter and help make a difference. The Dance For One Meter (D41M) project is founded by Ricardo Porteus and Tom Murray, who had a chance meeting at the Burning Man festival in Nevada where they conceived the potential of how uniting every person attending global festivals and events could make a positive impact on Rainforest protection. By simply having fun whilst saving the Rainforest, one person, one ticket, one meter on mass will generate the biggest environmental initiative in dance music history. Since opening its doors in 2017, Hï Ibiza has played host to many of the biggest names on the electronic music scene, including world-class residents Black Coffee, Cream Ibiza, Cathy Guetta presents GangStar, Eric Prydz, Armin van Buuren and Sunnery James & Ryan Marciano, Afterlife and Glitterbox. With state-of-the-art design and sound and a commitment to putting the clubber at the centre of the experience, Hï Ibiza has proved itself a force to be reckoned with. Ushuaïa Ibiza Beach Hotel is the ideal choice for the tasteful traveller who comes to the island for the trendiest pool parties, most extravagant evening productions and a truly luxurious hotel stay. With live performances every night from the world’s best DJs and phenomenal pool parties by day, Ushuaïa Ibiza made a name for itself by providing state-of-the-art productions.